Monkeys can do math so let them solve the oily bamboo problem | It's a Miracle! This entry was posted in because I said so, India, Indian culture, Indian education, Q.E.D, scientifiky and almost science by Anirban. Bookmark the permalink. That was hilarious stuff. Boy, the pic of the guy actually climbing the bamboo tree was just wickedly funny. Thanks for reading Sujoy. That picture took a bit of time to Photoshop… 🙂 Hope to follow your blog too! Thanks for reading. It felt good to finally get the”monkey off my back”! LOL. The scientists have said that they ‘can’ calculate, not they ‘do’ calculate. And yes, maths teachers sucked more than the subject at school. If mine is reading this, I want to tell him that I was the most felt dyslexic in his class. You know I still have this recurring nightmare that I am sitting for a board-leaving exam and I can’t solve a single sum on the paper. 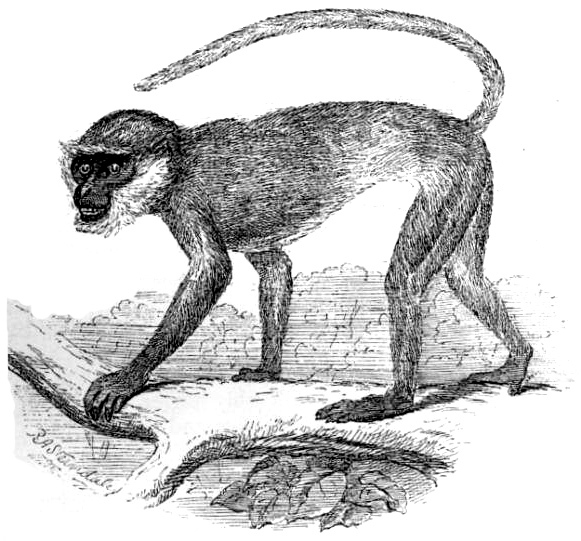 The monkey-maths were interesting in our life.If monkeys can do math and solve the oily bamboo problems, USA may take all deposited oil straight from Iraq.They may solve the global recession problems.So monkeys are welcome to help us. Thanks for your very interesting suggestion! They must be better than us at math. I’ve never seen them using calculators! Thanks. I liked your recent post on Jake Sully winning a NP for Avatar. Pretty funny stuff too! This was simply hilarious second you – Impractical problems and self bragging teachers are killers to education. I have a whole list of issues that I have with how I was taught in school. I could see a psychologist and get on the couch and tell all, but it is more fun to blog! Usually my nightmare involves the 12th standard exams or the joint entrance exam. The test paper is always in maths for me though. Even Alzheimer’s patients usually remember certain fears from childhood even though they can’t recall recent events. More on that some day. Thanks for reciprocating on the blog. I’ll be following your blog too. I am pathetic at MAths and these bloody ancestors of us are suppposed to be at par if not better…I am off to commit a suicide :). Thanks for reading Nish! I like your blog too and have added it to my blogroll.